Janet and I moved to Vancouver, WA earlier this year. So, here's a bit more about what goes on out here. 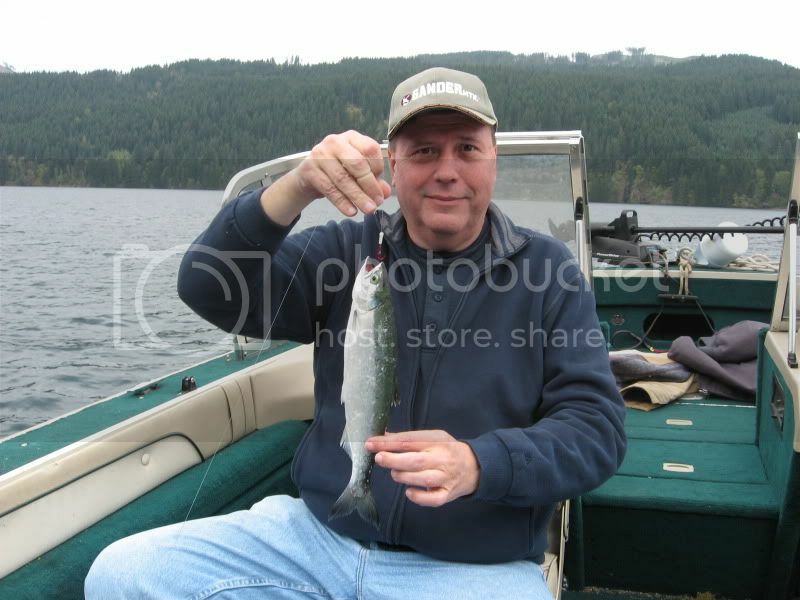 There are small landlocked sockeye salmon called "kokanee" in some of the lakes around here. They are very tasty. 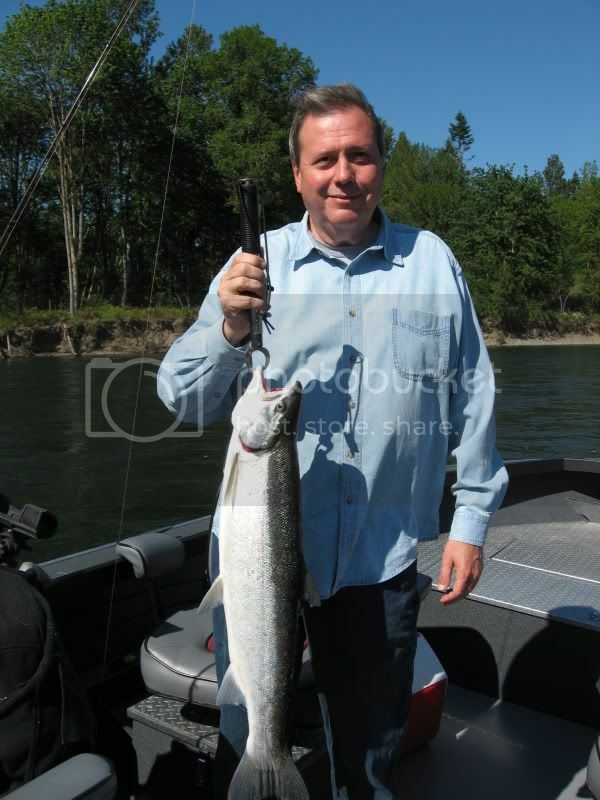 Fishing is good for summer run steelhead on some smaller rivers that feed into the big Columbia River. Steelhead are rainbow trout that go to sea like salmon do and then return to home streams to spawn, except they don't deliberately die after spawning like slamon do. They lose the "rainbow" when in salt water. 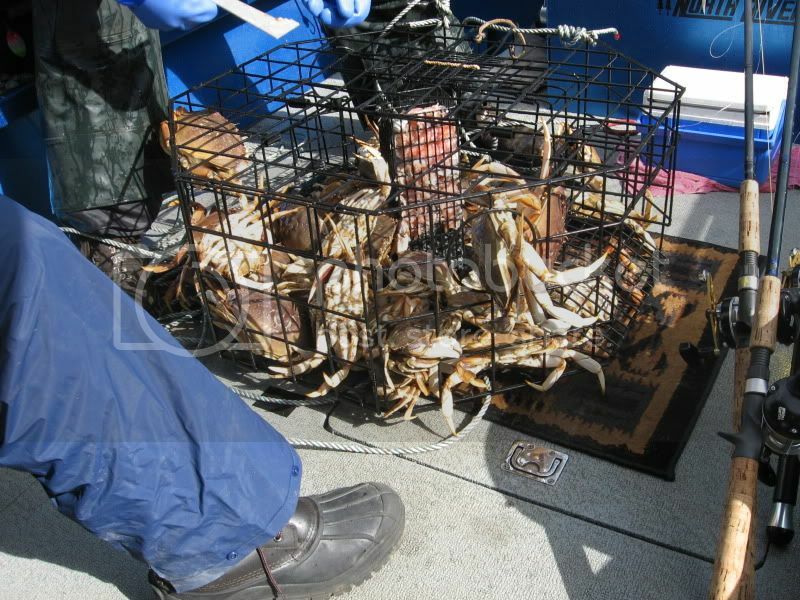 Those in the pictures below have not been back in fresh water for long enough to get the "rainbow" back. They are also very tasty. 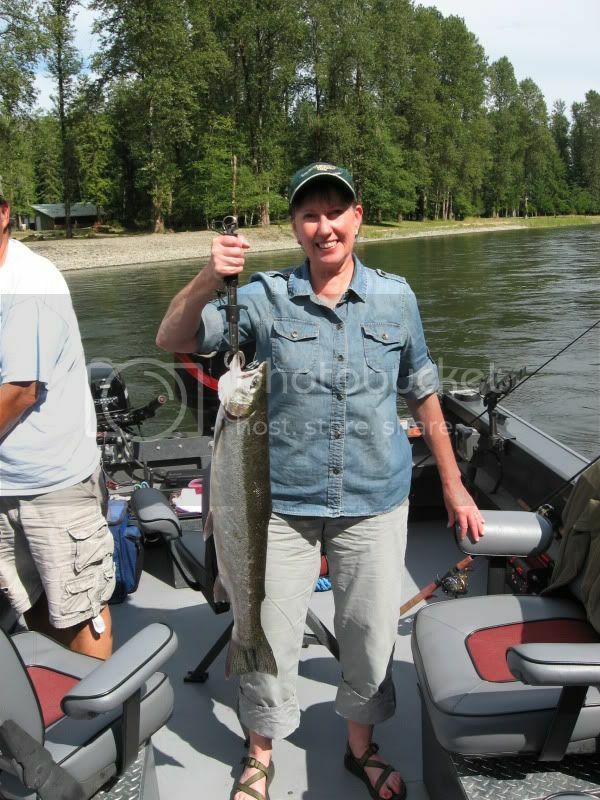 There is also a winter run of steelhead in some rivers in this area. 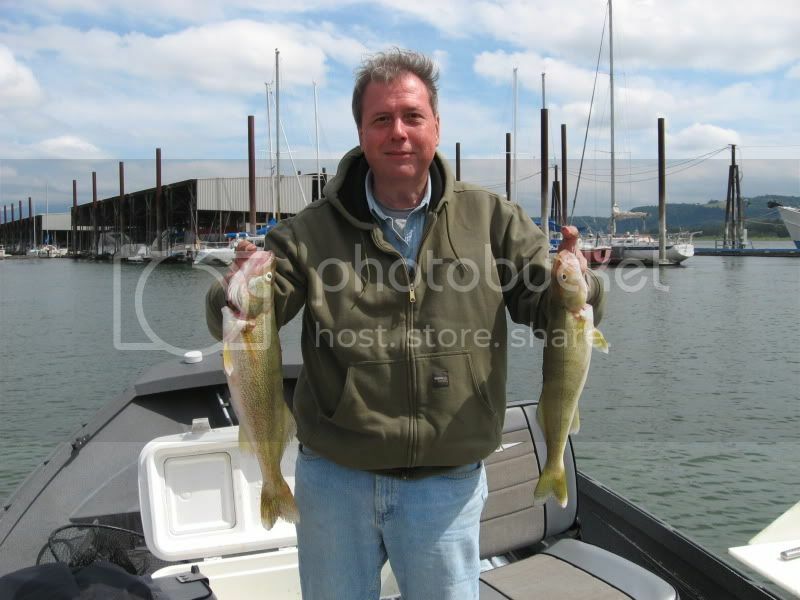 I've been learning how to catch walleye in the big Columbia River near home, just have not caught a big one yet. Finally tasted walleye for the first time, they are also very tasty. 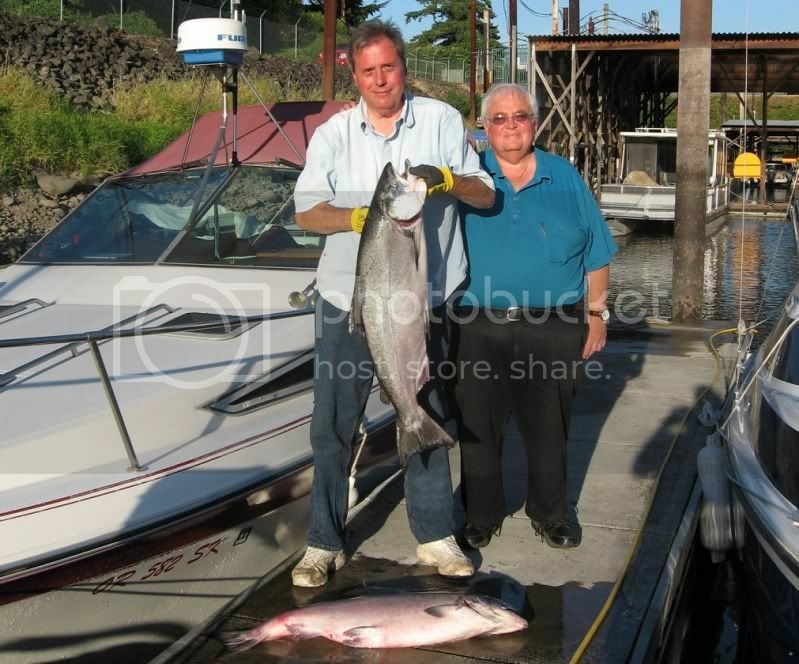 A guy from a fishing club I belong to out here recently caught a 15 lb walleye at the same place where I caught the two pictured above. 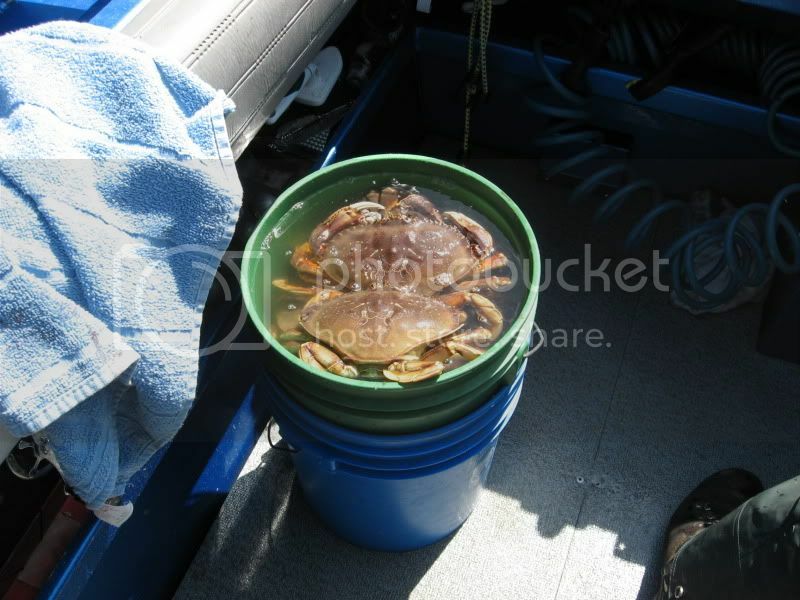 Crabbing is good at the mouth of the river near the coast. They have nice big dungeness crab here. On a recent trip we put out crab traps and then trolled for salmon until retrieving the crab traps. 24 lbs, caught less than 3 miles from my home! 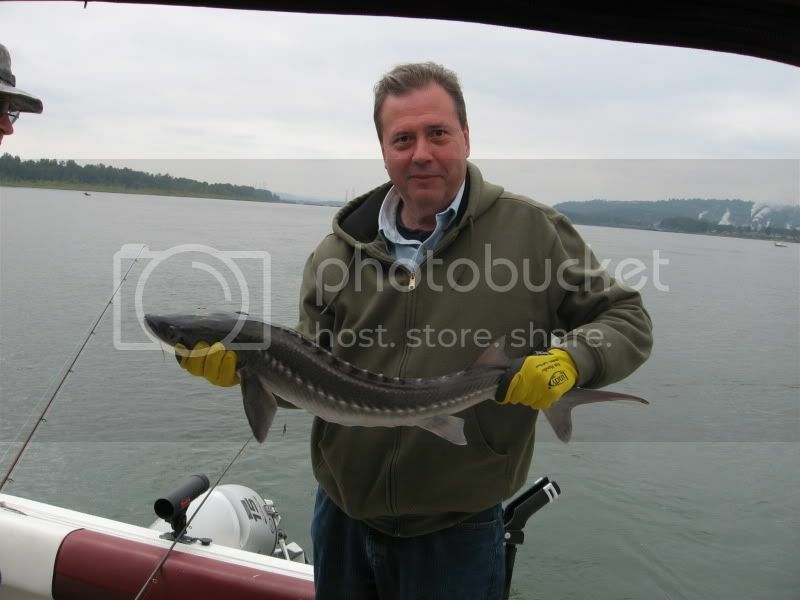 I've caught and killed a few but have not bothered to take them in for the "bounty" payment. I hear that the top "bounty hunter" last year collected over $40,000! That's over 5,000 fish. 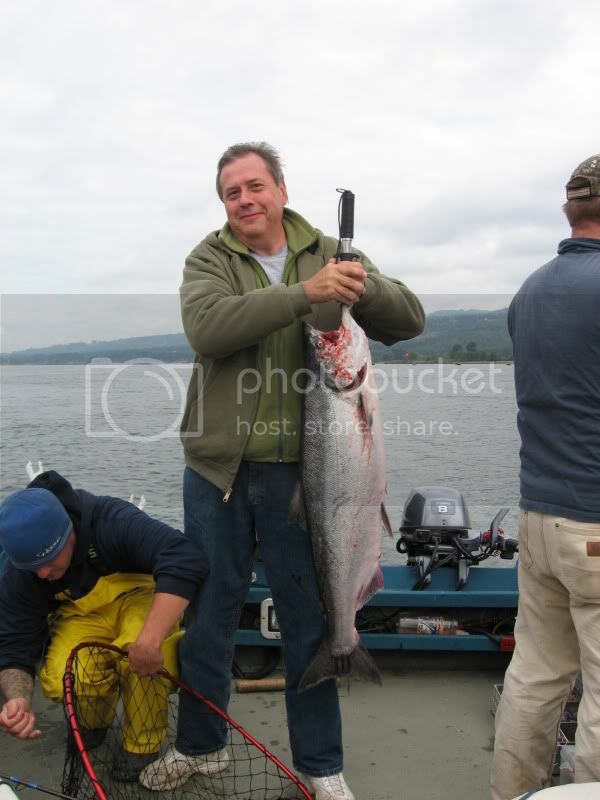 Fishing for the Coho salmon run in my neighborhood gets going any day now and should run through October. WOW Bob! Keep those west coast reports coming. I don't know how many times you wrote "tasty", but you typed it enough to make me hungry this morning ! I thought " man all the fish are tasty were he lives" as I was reading the post. But what I was really thinking is that I should move there. They have any tennis clubs there? 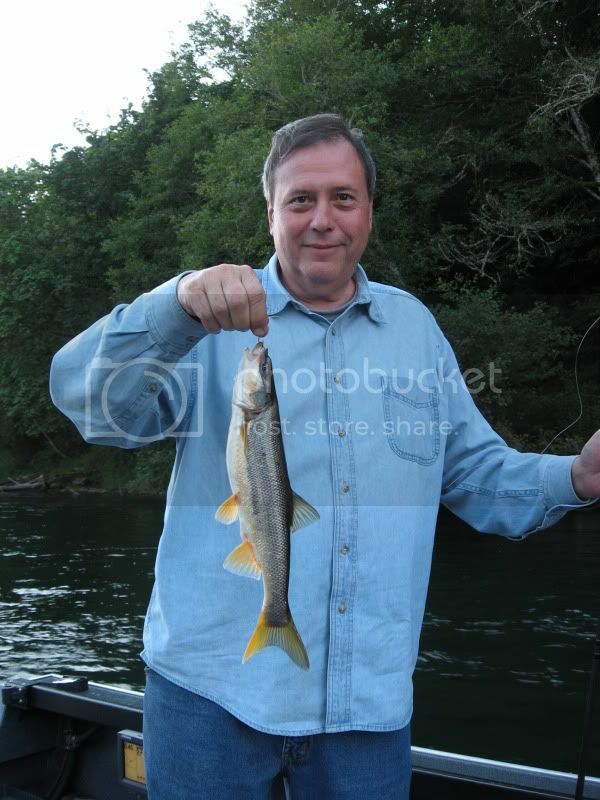 Bob's tasty SW Washinton fish have trumped our local white perch!